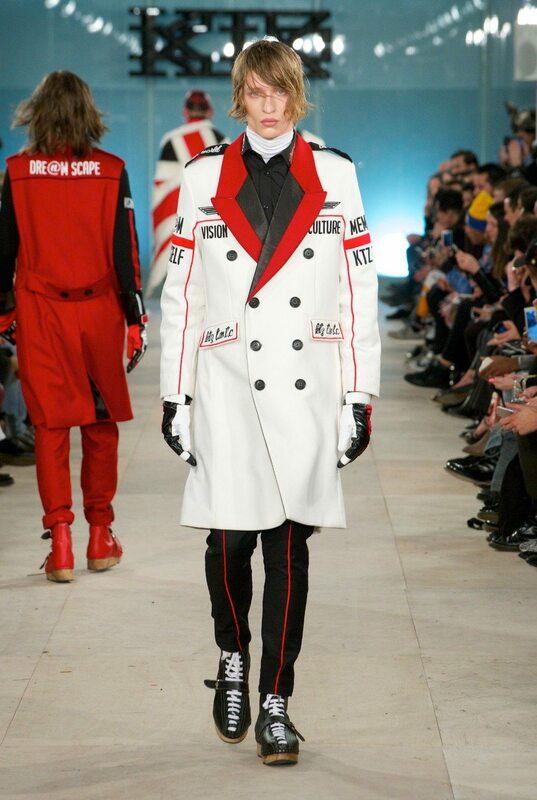 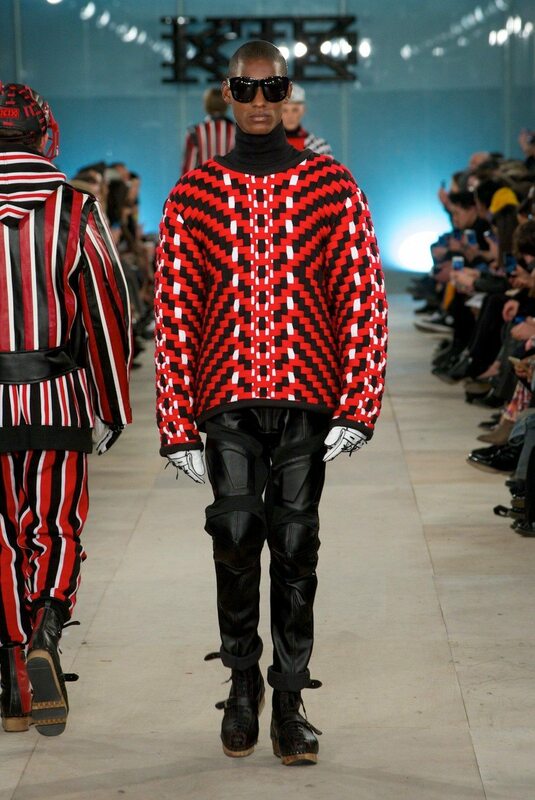 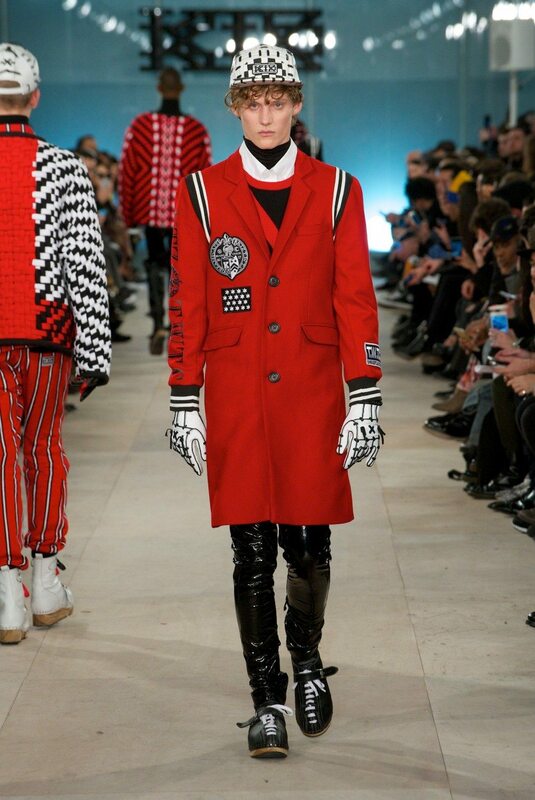 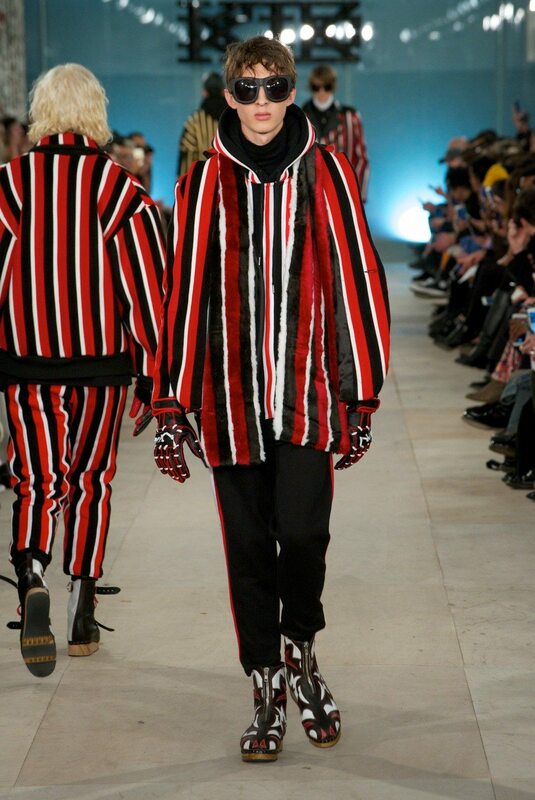 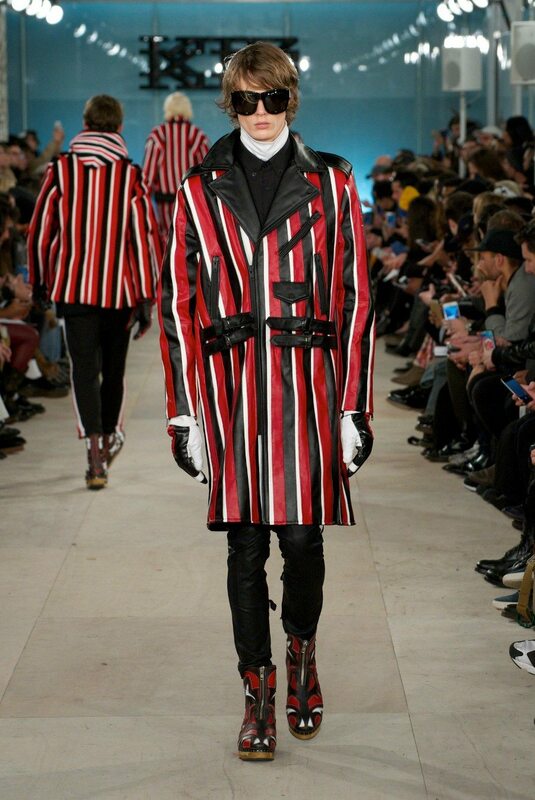 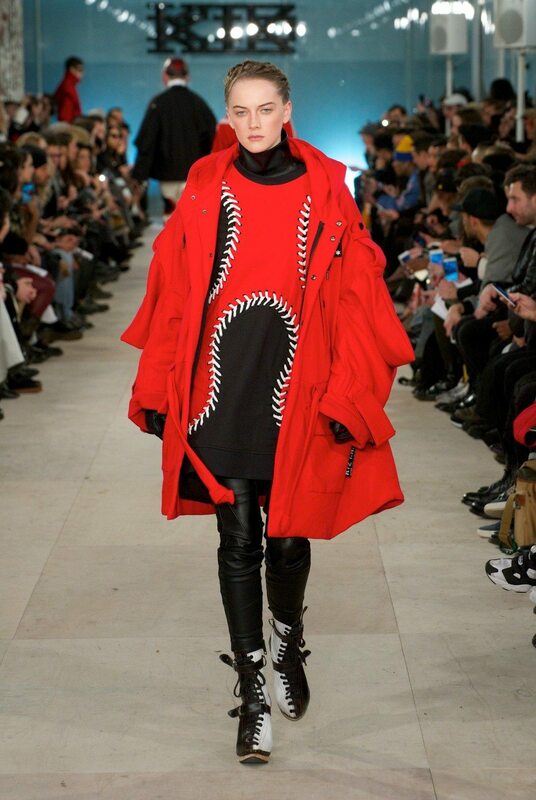 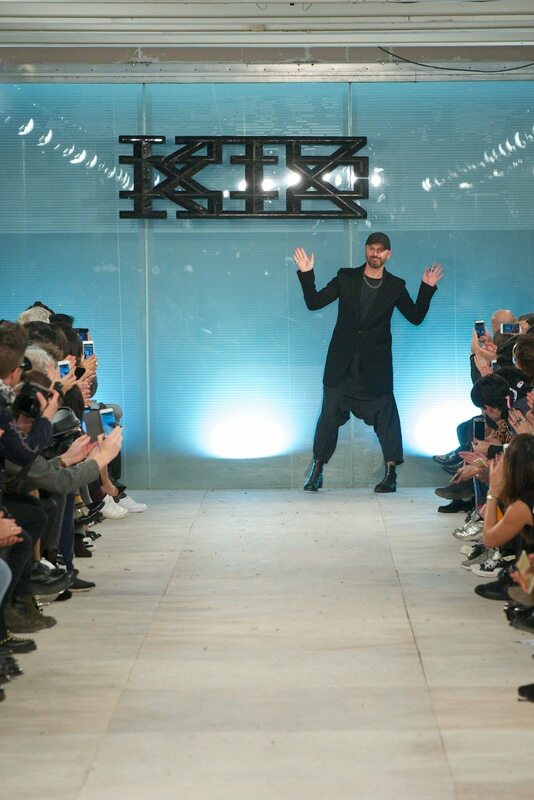 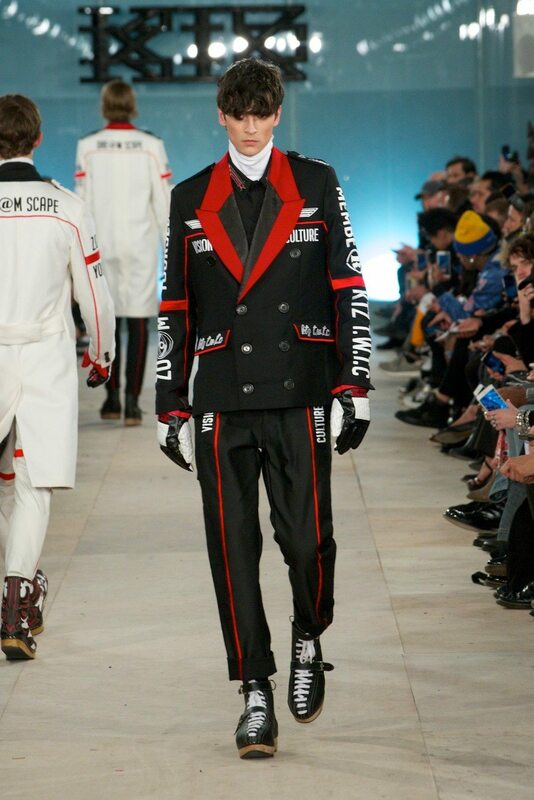 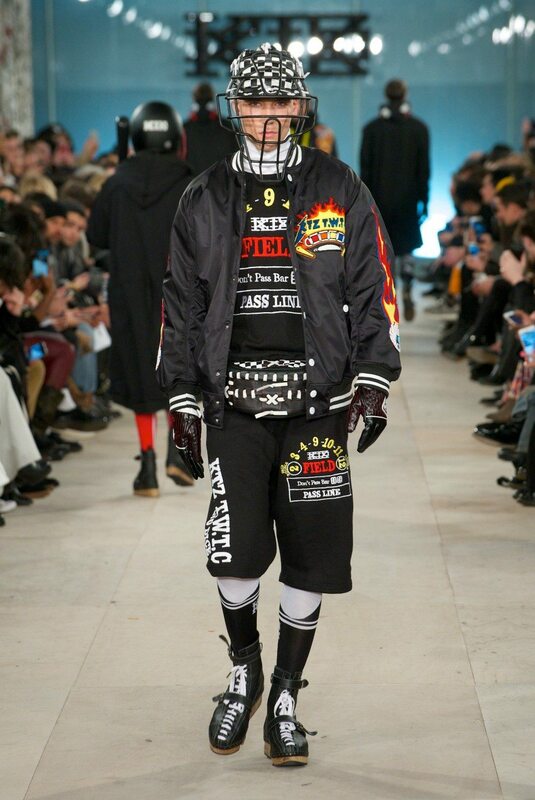 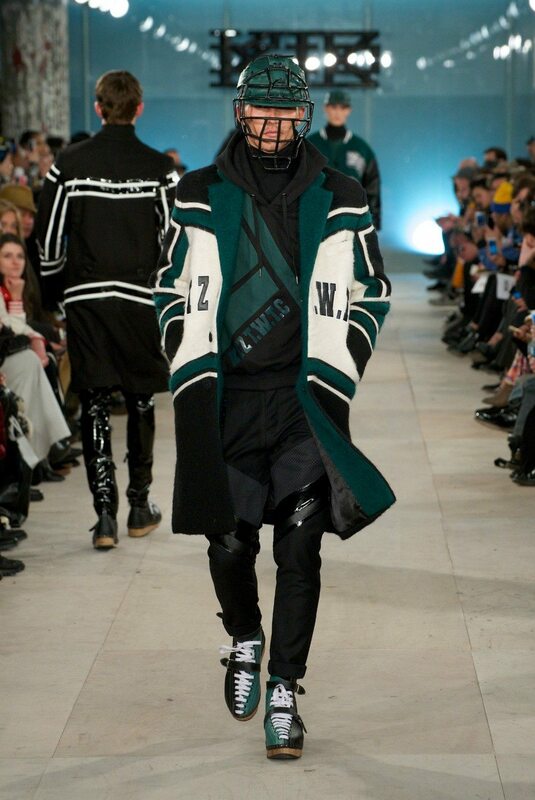 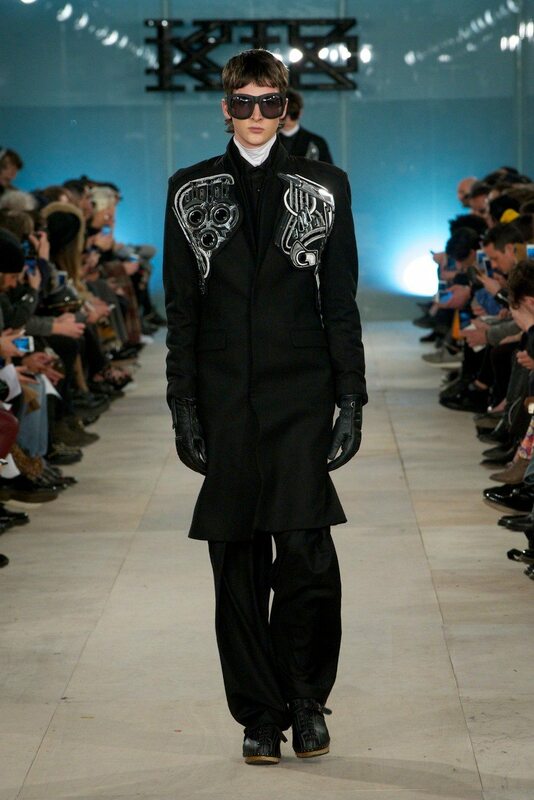 With cultural references ranging from Russian Futurism to American sport and the pioneering German electronic band Kraftwerk, KTZ’s designer Marjan Pejoski delivers a menswear season that is erudite yet athletic. 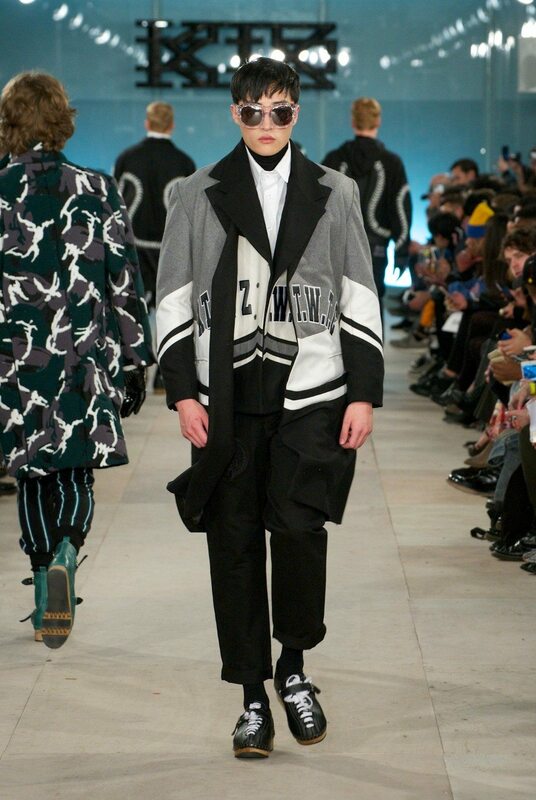 Imagined as a boy’s sports-room, the label’s new collection brings together dynamic geometric prints in a minimal colour scheme, functional silhouettes with structural panels assembled with high-contrast baseball lacing, and suits combing elegance with the driving force of sports-inspired prints and detailing. 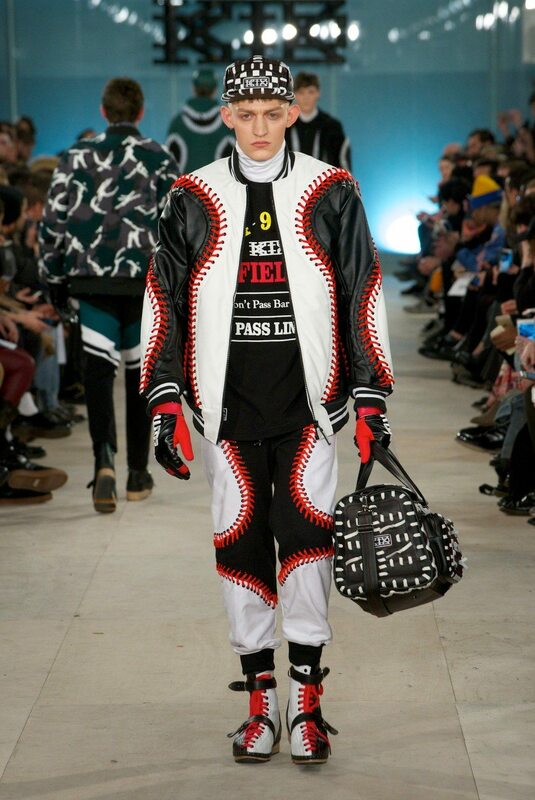 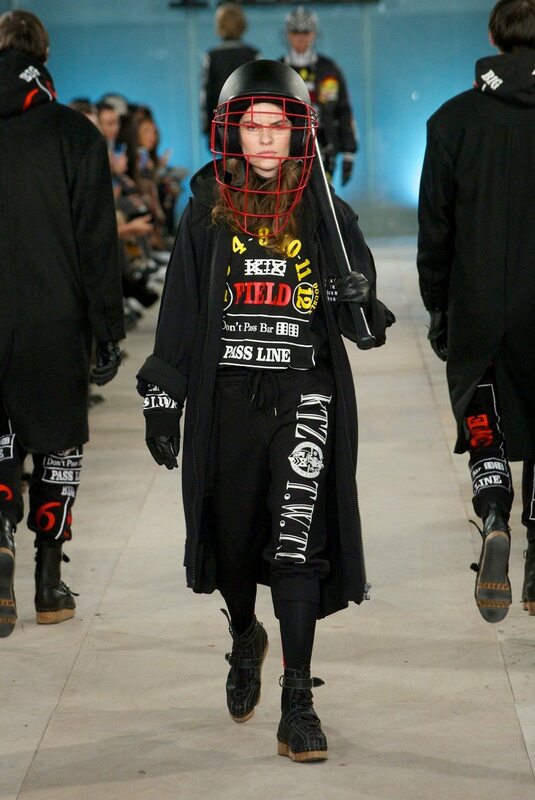 This season’s runway is also punctuated with a confident womenswear AW16, and together they construct a KTZ universe for man and woman who is intelligent and ready for action.